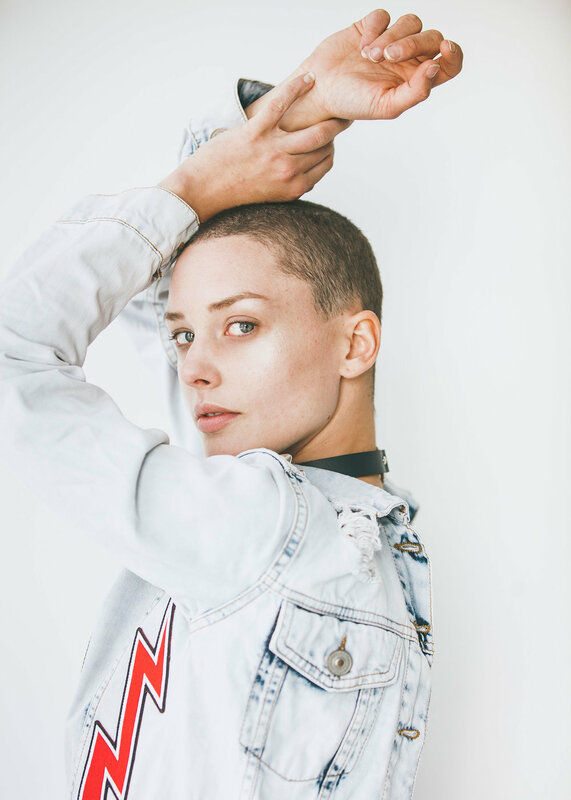 Those searching for the perfect denim jacket take note: Vancouver-based Kill The Robot has some you’ll definitely want to covet. 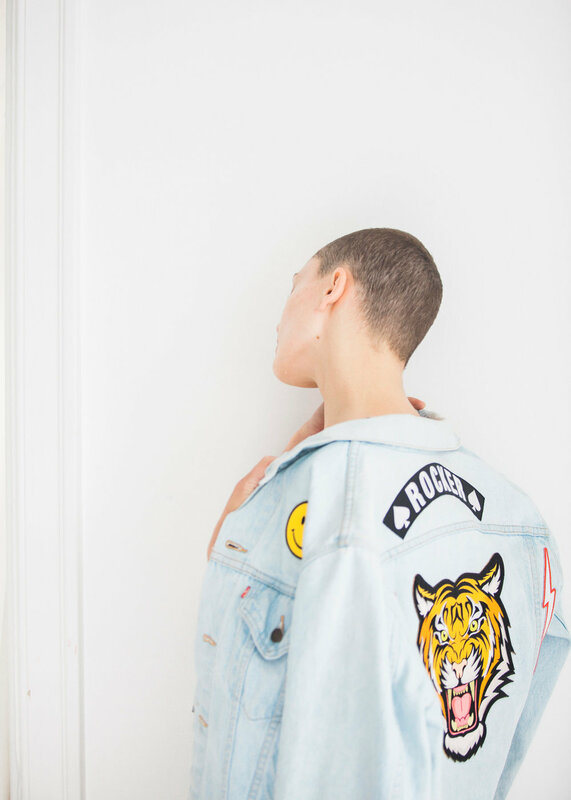 Their one-of-a-kind designed patches and colourful, punk-inspired graphics are breathing new life into vintage gems. Co-founders and partners Claudia Fandino and David Martinez have applied their combined experience (both studied fashion in separate schools) to the brand, which also includes a small line of punchy tops, rompers, pants and silk pieces inspired by Claudia’s uncles paintings in the ‘70s. “A common threat in the Kill The Robot costumer is a deep love for music, art and timeless design,” says Claudia. Originally the name of their electronic drum and synth band (yes they also make music), Kill The Robot is based on a fictional character named ‘Kill,’ which David drew on his passport holder when traveling to Vancouver from Columbia over 15 years ago (the drawing still hangs in their apartment!). 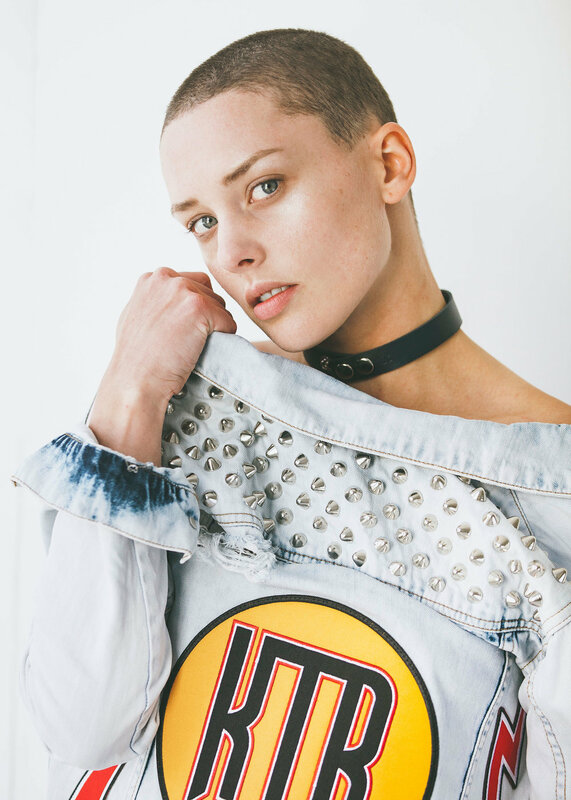 Since then, the brand has evolved into a clothing line, a blog with extensive coverage of Vancouver’s independent music scene, and more. It seems fitting that to promote their work, they are currently partnering up with local musicians, artists and bartenders to put on various pop-up events throughout the city. Their next one takes place Saturday, October 21, and you can find more details by visiting their website or by following them on Instagram.